After the season long origin story which comprised the first season, Daredevil was going to be stuck with a problem. The issue for superhero movies is that the hero stops being interesting once they’ve become a hero and it is up to a compelling villain to make the dynamic work. Vincent D’Onofrio did this well with seasons one’s Kingpin and would be a difficult act to follow. Luckily, Daredevil managed to have an excellent anti-hero. Jon Bernthal’s Punisher is the best aspect of season two. He is violent, skilled, more than a match for the series’ hero and has arguably a more interesting backstory. At times you will care more about his story than Daredevil’s and a spin-off of his own is a great idea. It also means that the first five or so episodes are compelling. Daredevil has to capture a vigilante who is willing to kill. It is a nice counter to his own actions and makes for a complicated, moral story for our hero to face. It also means we get some excellent showdowns between the two. There is almost a battle an episode for the first half of the season and each one is unique, bloody and perfectly executed. That is why it is a such a shame when the second protagonist enters the fray. Daredevil’s iconic love interest Elektra was always destined to feature but her addition leads to the weakest story-arc of the season. Elektra herself is played very well by Elodie Yung, bringing the female assassin to life ably, with her attractive but deadly killing-style. Unfortunately, with her comes a story-line about assassins, ninjas, ancient wars and immortality. It isn’t that this story is boring, more that it is so far removed from the excellent arc which is focused on The Punisher. This is both in overall quality and realism. The dark, gritty and at times ultra-violent aspect of the show was always one of it’s strengths. A mystical, ninja-filled story-line jars slightly, especially next to the court case and revenge fueled Punisher tale. Not that the violence and realism isn’t still present. Daredevil is bloody and spits up the red stuff at least once an episode. He is a fallible superhero, frequently being pummeled and getting himself into trouble, making for a more believable and better series. The way that his actions also begin to fray the relationships around him, especially Deborah Ann Wall’s Karen and Elden Henson’s Foggy, keeps the season grounded in the modern and mature rather than fantastical. There are also other positives pulled through from the previous season. D’Onofrio makes a welcome return in some of the better and more interesting episodes, paired successfully with The Punisher. There is also a bigger, more ambitious “one-shot” scene which outdoes the corridor battle of the first, for creativity and bloody violence. 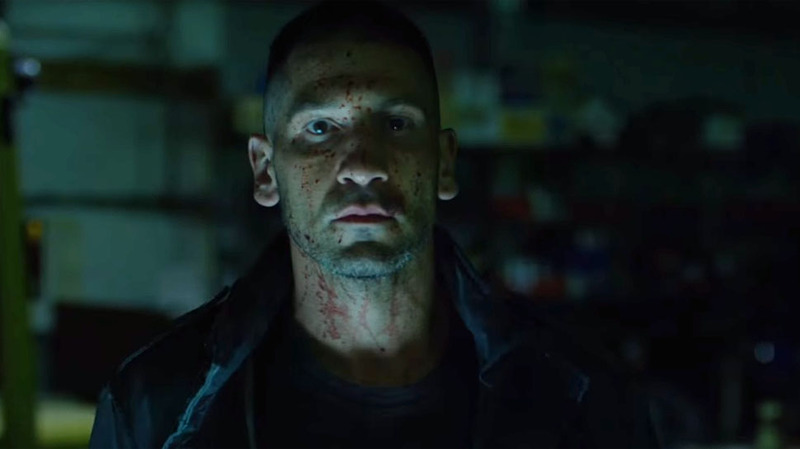 Overall, Daredevil’s second season is all about The Punisher. The vigilante killer makes the show more interesting and gives Daredevil a more compelling story-arc. Unfortunately, the second major story-arc, featuring Elektra, is weak and drags some of the quality down. Give The Punisher his own show and soon. Best Episode – New York’s Finest: The confrontation between Punisher and Daredevil makes the episode compelling but the final fight in the stairwell is the best of the show so far. Should there be another season? – Definitely. Although at this point I’d rather see a Punisher series.